Is there a difference between eating for health and eating to lose weight? If you have been eating junk food on a regular basis, changing your diet to one based predominantly on whole natural foods will be a great move and will more than likely result in weight loss and improved body shape. Hunger should be regulated and overconsumption of hyper palatable calorific foods will be less likely to happen. This will definitely improve your health and aid your fitness and performance goals. There still are many people though who seem to eat a whole natural ‘healthy’ diet, consuming plenty of nutritious foods but are struggling to lose weight. Unfortunately they are simply consuming too many calories. Unless you are eating at a calorie deficit you will not lose weight. You can eat a diet full of nutritious foods but if you overconsume you will not lose weight. 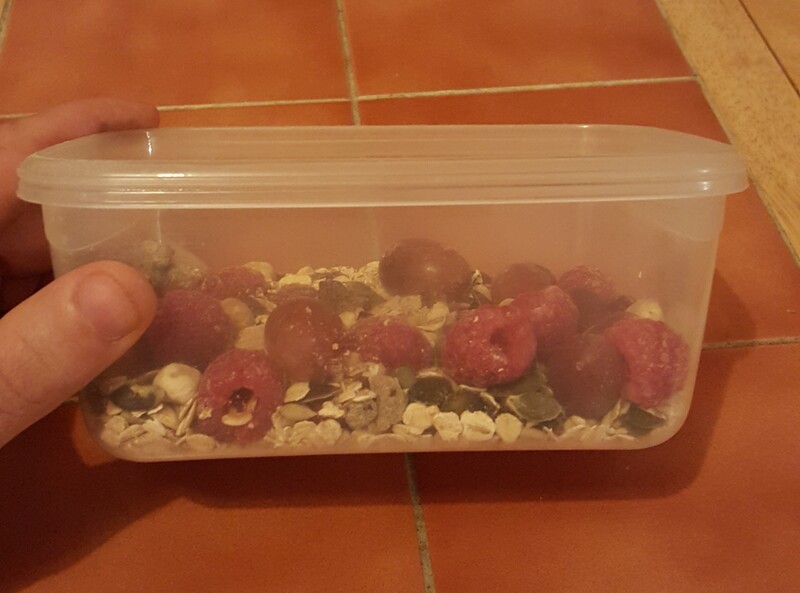 In the picture below is a small lunchbox of Irish Muesli with some seed mixture. 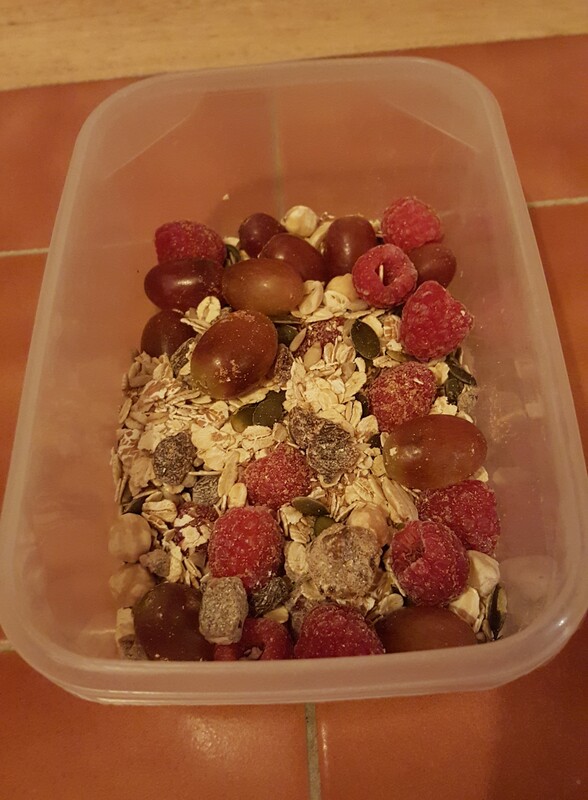 Muesli is a nutritious food especially when mixed with some nuts and seeds and dried fruit. This lunchbox of food has approximately 700 calories and another 100 when you add in milk. 800 calories. Healthy foods can still be very high in calories. Nuts and seeds are very healthy and full of nutritious fats but be aware of overconsumption. An average 65kg lady who is on her feet most of the day and exercises 3 times a week should be eating around 1800 calories to lose weight. This meal would be nearly half their total for the day. Take home message: Be aware that overconsuming healthy but high calorie foods such as nuts, seeds and muesli can be detrimental to your weight loss goals. 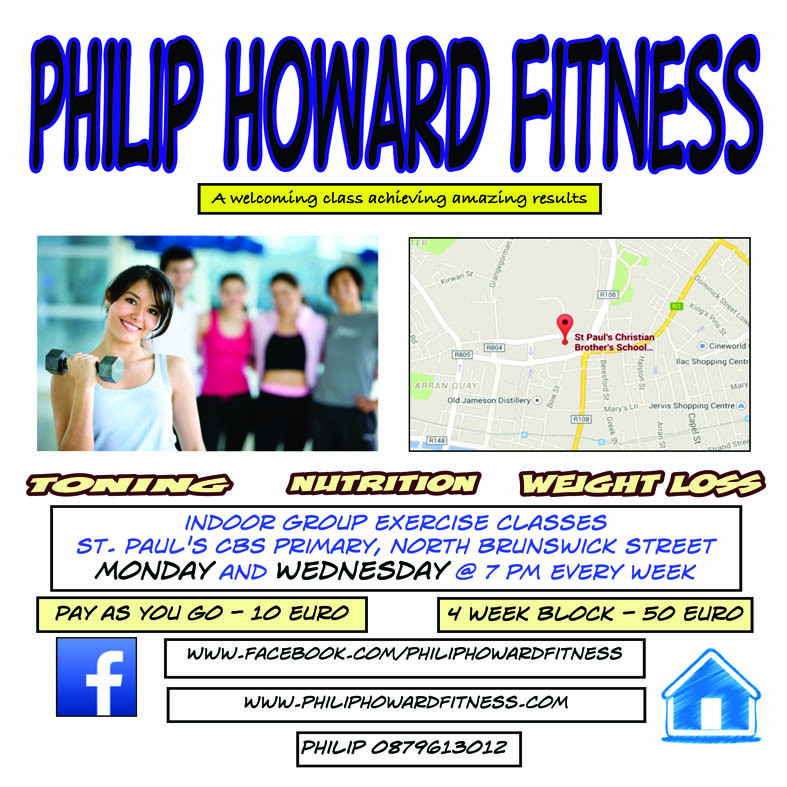 Hi Philip, I just saw this flyer about your class and I was wondering who the class is catered towards? Well Claire, it’s nice to meet you. We cater for men and women who aren’t happy with how they currently look and feel. Most of our clients are female between 25 and 40 who want to lose some weight, tone up and feel better about their fitness and health. We can provide a road map to help them get from where they currently are to where they would like to be. The class environment is great for people as it provides a social outlet as well as a fitness class. Oh right that’s great. Unfortunately though I haven’t done much exercise recently, will the class be too hard for me? We cater for all fitness levels. All exercises have regressions and progressions that allow people with different abilities to get a great workout. Many members have started with no experience of resistance training but have quickly learned the basics and are progressing at a great rate. What is resistance training? That sounds hard? No need to worry, resistance training is a super form of exercise. It means using resistance to challenge the muscles to get stronger and develop shape. It can take many forms such as bodyweight exercises, lifting weights, cable pulls etc. We try to concentrate on the main human movements such as push, pull, hinge and squat. Won’t that make me big and bulky? I want to lose weight! No, it absolutely won’t make you big and bulky Claire. That is a major myth amongst many women. Resistance training is the most effective training method to help women and men improve body composition. By building muscle, your body does many wonderful things that help turn you into a fat burning machine. Your metabolism increases, you burn more calories at rest and your new found strength will catapult your fitness and health to new levels. Also women cannot build as much muscle as men because of hormonal differences so instead of having big bulky body, you are more likely to achieve toned and slender physique. Great, sounds like just what I need. But what type of class can I expect? It is a class that emphasises strength through a variety of basic human movements. Stand-alone strength exercises are followed by a resistance circuit that will really work the heart and lungs giving a strong cardio hit. We want our clients to be the strongest version of themselves. We place a strong emphasis on learning proper form and technique. We also pay particular attention to mobility, if a person has restricted movement, we will make sure they perform various exercises throughout the session that will tackle particular issues. I’m tired just hearing all that, are you sure that won’t kill me! Did I mention I haven’t done any exercise in ages? There is no need to fear Claire, we are well aware some people may have absolutely no experience in doing any exercise or have done very little in many years like yourself. It takes courage to start a new regime. Everyone will work at a level that is suitable for them. Your body may be sore after the first few sessions as you adapt to the new stresses but our intention is not to flog people with incredibly tough workouts. We hope that everyone works from a level where they feel challenged to improve and progress in a sustained and fun environment. Cool, that’s reassuring, thanks Philip, is there anything else that I will need to know before I sign up? Yes, there is a strong nutrition component. I encourage all clients to keep a food diary. Research has shown that people who keep regular food diaries are far more successful at maintaining healthy body weight or losing weight in the first place. We also give people nutrition advice and a template to help them improve their lifestyle habits to ensure progress can be achieved. Remind me again, where and when do the classes take place? Oh yes, the classes are run in the hall in St Paul’s CBS primary school. It is located on North Brunswick Street around the corner from Smithfield square. They currently run every Monday and Wednesday at 7pm. It’s ten euro for a pay as you go class and 50 euro for a block of four weeks. People can sign up whenever they like. Don’t forget, the first class is free of charge so you can come and try out before you buy a four week block. Brilliant, do the classes run the whole year? There will be some breaks, classes will not run on bank holiday Mondays, over the Christmas, Easter holidays and during August. We find that people like this break and are away on holidays at these times of the year. We follow the primary school calendar to some degree. Ok thanks Philip for all that information. I am really looking forward to getting started. Do I need to bring anything for my first class on Monday? Just come wearing comfortable workout gear but bring a bottle of water and a can do attitude. The first class is free of charge so if you want to join you can pay starting from next Monday on. Super, I’ll be there, I look forward to it. Cheers, will see you then Claire. With all the technological developments that have taken place in the world over the past hundred years, the human population has gone through a period of incredible growth. An abundant and readily accessible food supply has enabled us to multiply like never before. 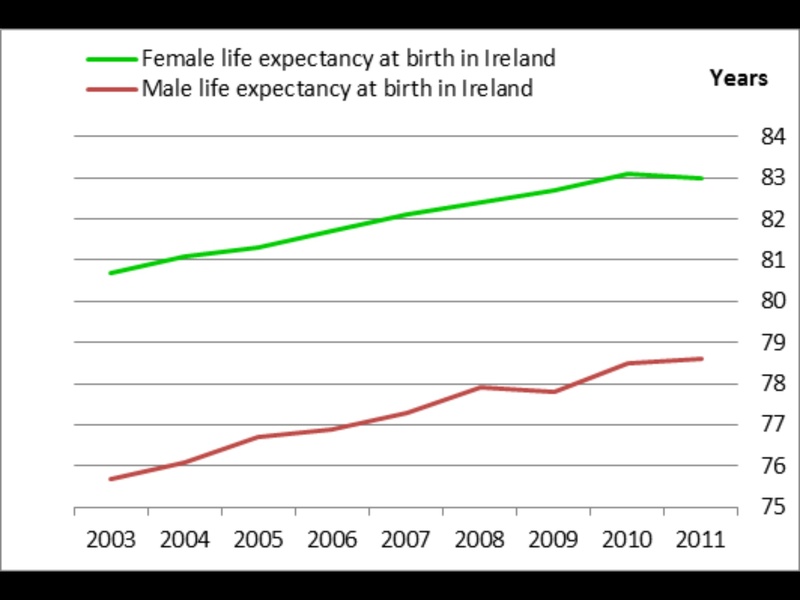 We are living longer here in Ireland than ever but are we healthier? Are we living a life full of energy and vitality into our late years or are we barely surviving? Modern advancement in medicine has been remarkable and has enabled us to treat many ailments and increase our lifespan. Despite these advances in medicine, chronic disease is not abating, rather it is speeding up. More than half our 50’s are currently living with two or more chronic diseases (diabetes, stroke and coronary heart disease) and this figure is likely to dramatically increase by the end of the decade. Are we supposed to be sick? Why is this happening? What can we do to reduce our chances and our family’s chances of being one of these chronic illness statistics? Many of us go through life with a blinkered approach. We eat and drink what is socially acceptable, consume processed crap that is advertised as food in the media and follow outdated and misguided government guidelines. We assume that if it’s in a pack, it must be ok to eat and we do not take responsibility for our own health and wellness. 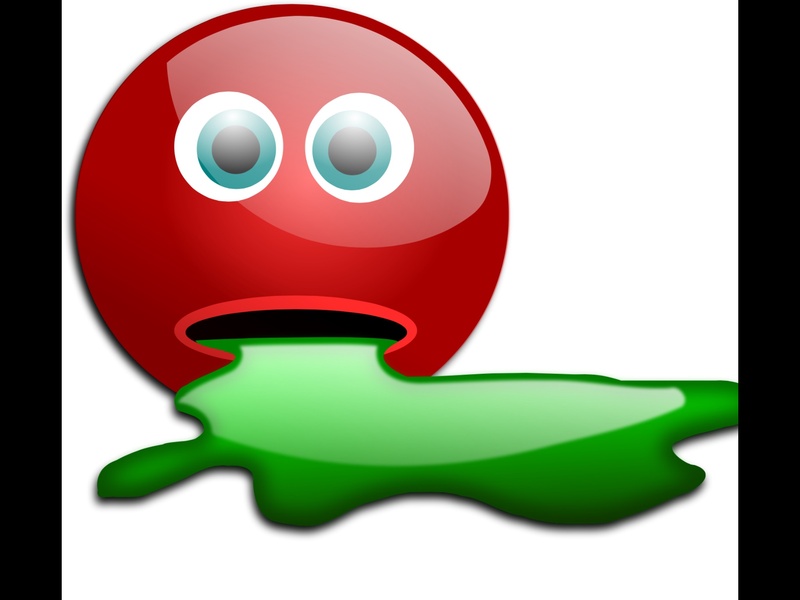 Then BOOM!…suddenly we get sick. We wonder why and blame bad luck! We don’t just get sick by accident, there isn’t a magic illness dice that spins and suddenly lands on us. We get sick because our body is struggling to deal with problems brought on by environmental, physical, mental or emotional stresses. These stresses are determined by our nutrition and lifestyle and our interaction with the world around us. In nearly all cases we are in control of these factors! Genetics also play a role and this why our own health as parents plays a huge role in the makeup of our future kids. Any sicknesses we have will be transported in our genes to our future offspring making them more susceptible. It is a blue print for our children. If your parents had any chronic disease such diabetes or heart disease, you will have a higher risk factor of contracting these illnesses as you grow older. Epigenetics though suggest there are switches in our genetic make up that can be turned on or off based on our dietary and environmental choices. Therefore just because your parent had diabetes or heart disease doesn’t mean you will have it too. My belief is that we can all shape the destiny of our lives and live healthier and happier lives. 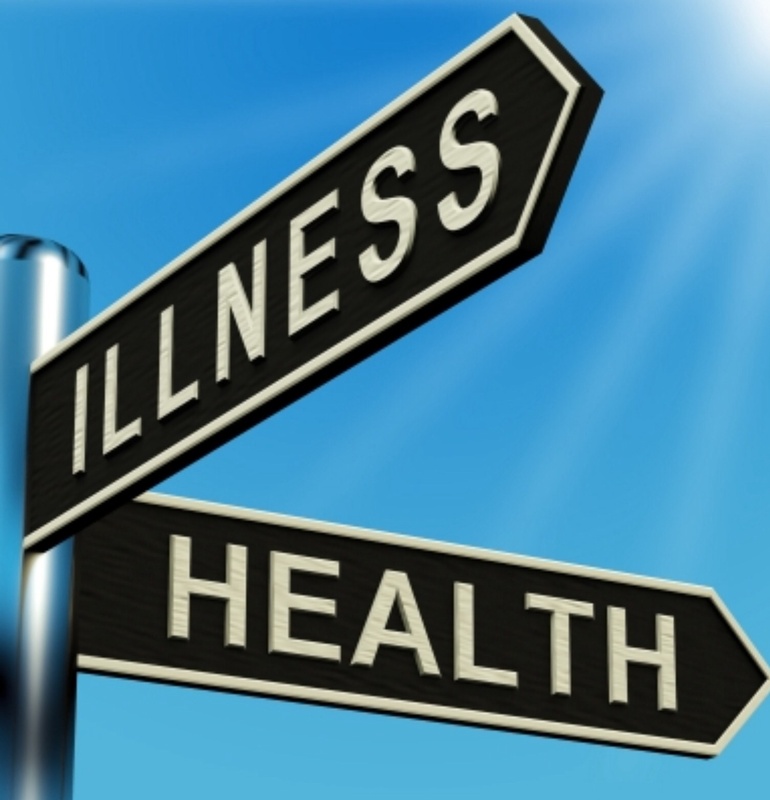 What factors can determine our likelihood of contracting disease? Nutrition – eating a diet full of sugar, refined grains, trans fats, additives and alcohol can lead to huge problems. Alternatively eating foods that are locally sourced, minimally processed, nutrient dense plant and whole animal foods, nuts, seeds and good fats can be like medicine for our body and enable it to function the way it was designed. Exercise – sedentary lifestyles are a recipe for disaster. An increased risk of obesity, diabetes, cancer and heart disease are just some of the dangers. There is a magic solution – move more! Sitting for hours on end can be detrimental for our health. Do whatever exercise you enjoy and make it a regular part of your life. Sleep – Poor quality sleep can put people at an increased risk of depression and anxiety. It can lead to an increased chance of immune deficiency and heart disease. Quality sleep enables out body to recover and regenerate. We should be aiming for 8 hours sleep every night. We should be try to go to sleep earlier and try to avoid caffeine, white light(unnatural light produced by computers, tv and light) and rigorous exercise near bedtime. If we can do so, our bodies will be able to produce the hormone melatonin, while at the same time reduce our levels of cortisol as we near bedtime. Our bodies will be primed for sleep and we can maximise its benefits. Environmental toxicity – we are being exposed to a huge amount of toxins. Over exposure to these toxins can make us sick. Toxins where, I hear you say? Avoid: Cosmetic products contain dangerous chemicals such as oxybenzone and parabens which can be toxic in the body. Avoid: PFOA – Perflourooctanoic Acid, used in Teflon non-stick coatings, avoid high heat when using Teflon or better again use a stainless steel pan. Avoid: Certain plastics such as BPA used in certain food containers and bottles should be avoided. Chemicals can leach out into our food and drink especially if exposed to high temperature or light. Studies have shown huge dangers to brain and infant and child development. Glass is a safer alternative. Don’t accept illness as a ‘normal’ part of your life. Take control and do something about it.